Gong Ming loses all his friends. Xiang Xiang is still waiting for Gong Ming, but he is in 16 B.C. chilling with Wang Mang. 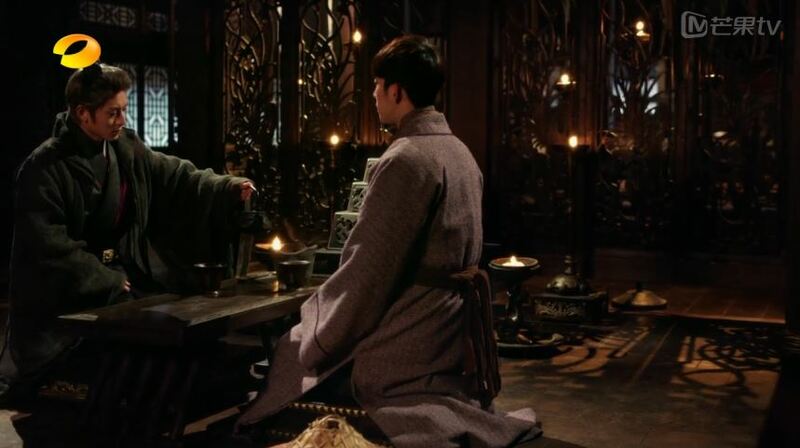 Gong Ming informs Wang Mang of the impending dangers and begs Wang Mang to listen to his plans. Then, Gong Ming sends word to Ying Yue to meet them at Wang Mang’s residence. Unfortunately, Zi Xiu and the rest of the Wang family hoodlums are following Ying Yue not far behind. Soon after, Ying Yue and Zi Xiu & co. engage in a battle. She slaughters quite a few of them, but she is no match for Zi Xiu. By the time Gong Ming and Wang Mang appear, Ying Yue is already caught by Zi Xiu, who threatens to kill her if the other two move closer. Zi Xiu tells Wang Mang to kill Gong Ming in exchange for Ying Yue. 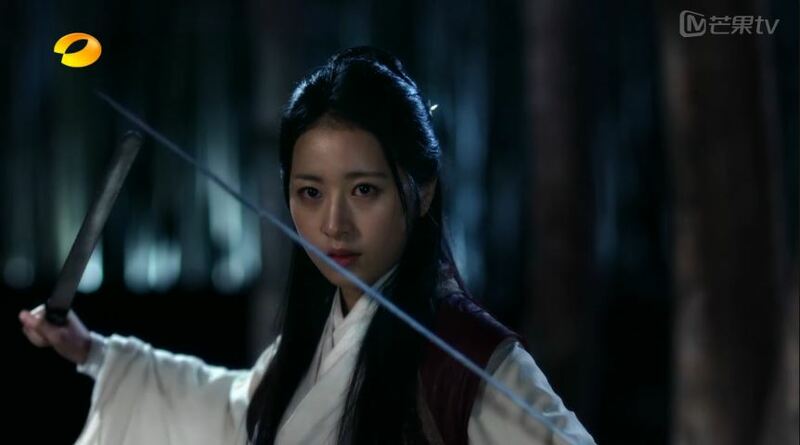 Just as Wang Mang is about to aim his sword at Gong Ming, Ying Yue pushes Zi Xiu aside to throw herself at Gong Ming. Zi Xiu stabs Ying Yue and Wang Mang kills Zi Xiu. Ying Yue dies in Gong Ming’s embrace as she expresses how glad she is to see Gong Ming once more and how sorry she is that she cannot fulfill her promise to Wang Mang. 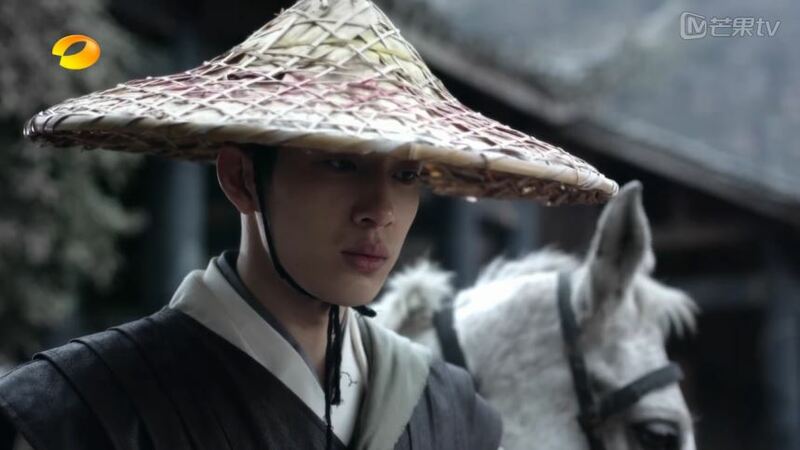 After some sobbing, Wang Mang shakily picks up his sword and blames Gong Ming for causing Ying Yue’s death by asking to meet up. Gong Ming stands there, readily to pay his dues, but an angry Wang Mang just throws his sword aside. 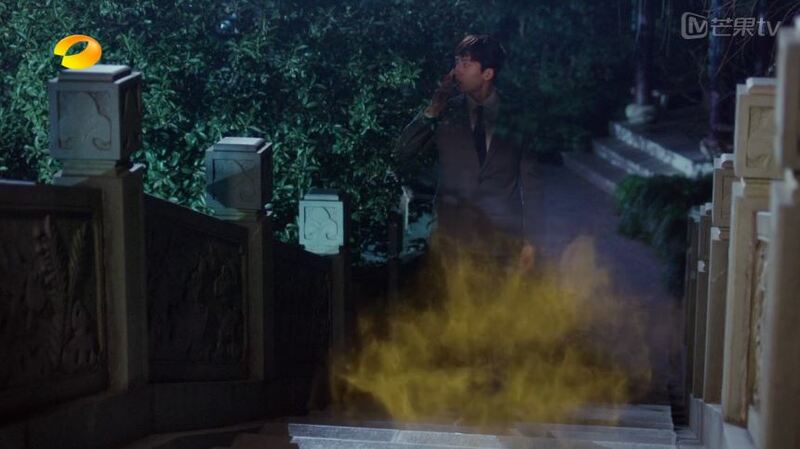 He hovers himself over Ying Yue and says that today is the death of his heart. 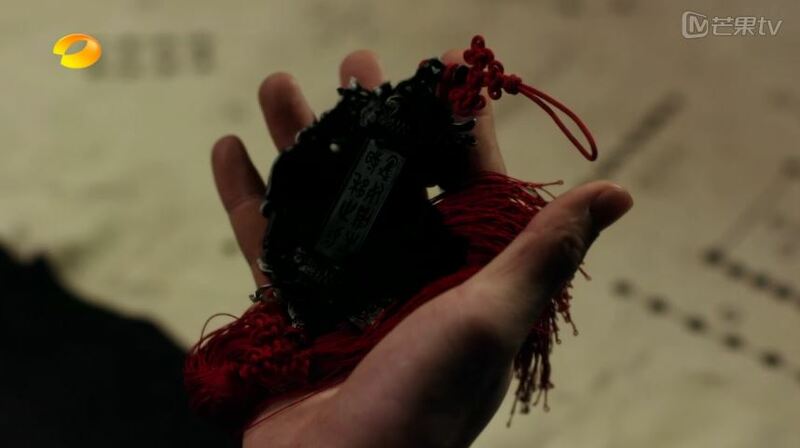 Gong Ming wants to return to 2015 since Xiang Xiang is waiting for him, but the jade pendant turns black. His teacher tries to stop him from trying because they don’t know what this new change means, but Gong Ming insists on pushing forward. He pulls out a knife and he is successful! Xiang Xiang receives a call from Gong Ming to meet up at their bridge. Just as she turns around to see him, he suddenly starts to flicker and disappears! Gong Ming is teleported back to 16 B.C.!!! NOOOOOOOOOOOOOOO! Gong Ming travels to Ying Yue’s hometown to figure out the origin of the jade pendant and if there’s any way to revive it. However, he does not get any useful information. His teacher tries to convince him to remain in 16 B.C., and just live out life peacefully. Gong Ming rejects this idea, and suggests that perhaps if Ying Yue can will the pendant to bring him to 2015, then he can do the same. 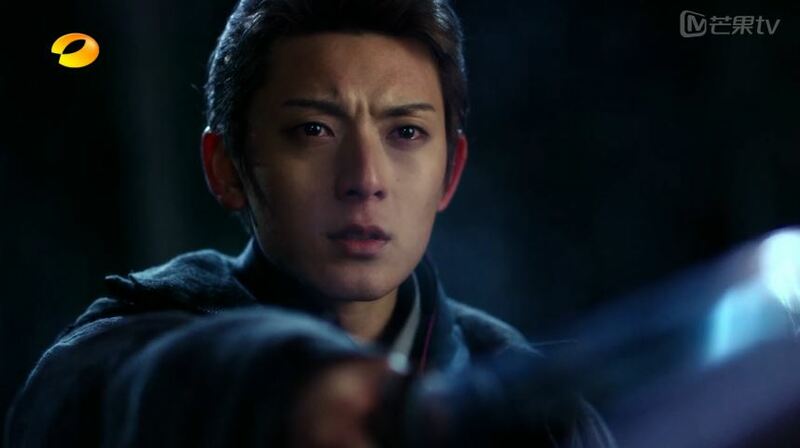 When he gets home though, Gong Ming takes out a dagger and stabs toward himself. And then squishhhhhhhh. I hope that’s not his flesh, but we will have to see! Haven’t had enough? Click for episode 21 recap! 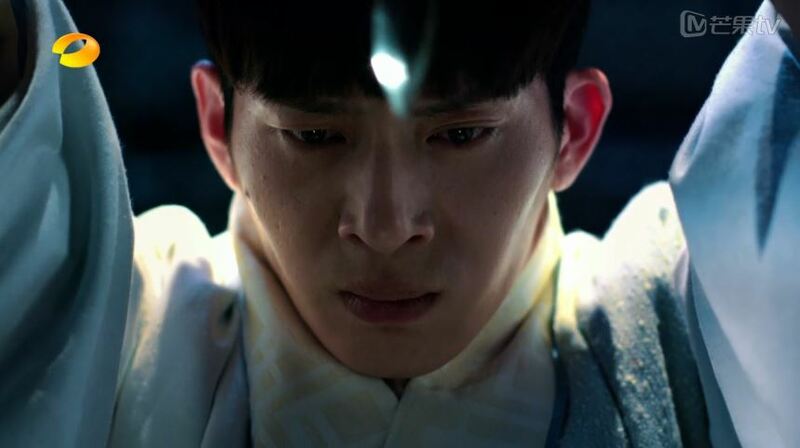 nooooooooooooooooooooo….why yingyue has to die??? wangmang lost too many people already… how will he survive?? ?